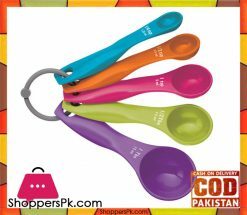 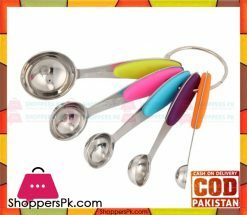 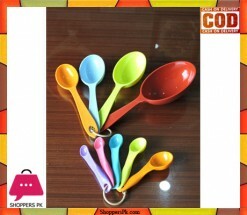 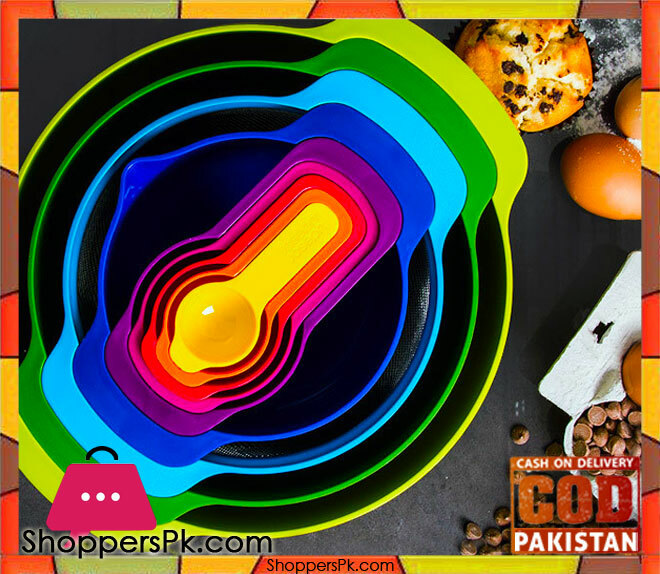 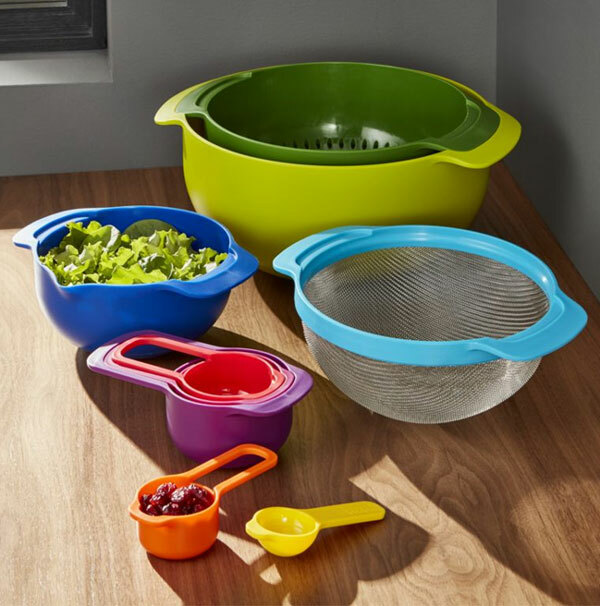 This collection of simple, practical and space-saving kitchen tools has a bright colour combination that truly pops! 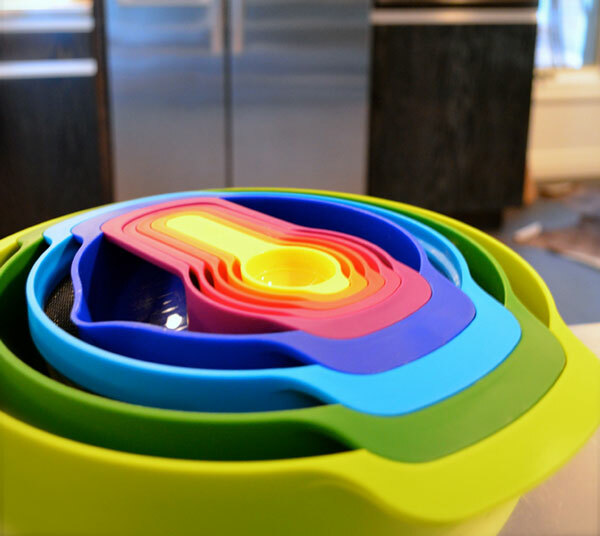 Each element within this nine piece set can be neatly stacked together, taking up the minimum amount of space, no matter where it’s stored! 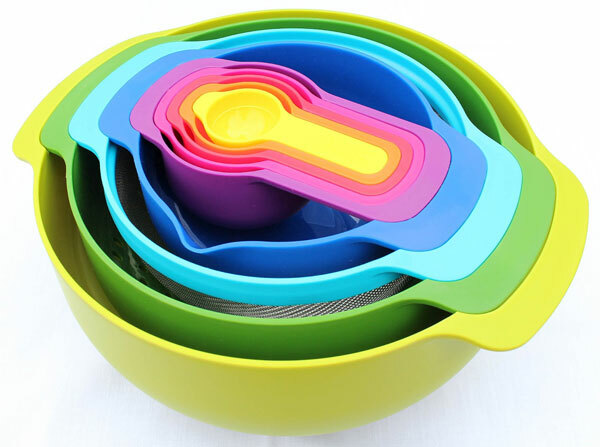 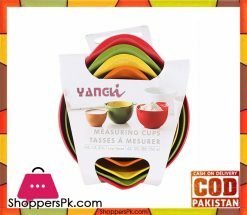 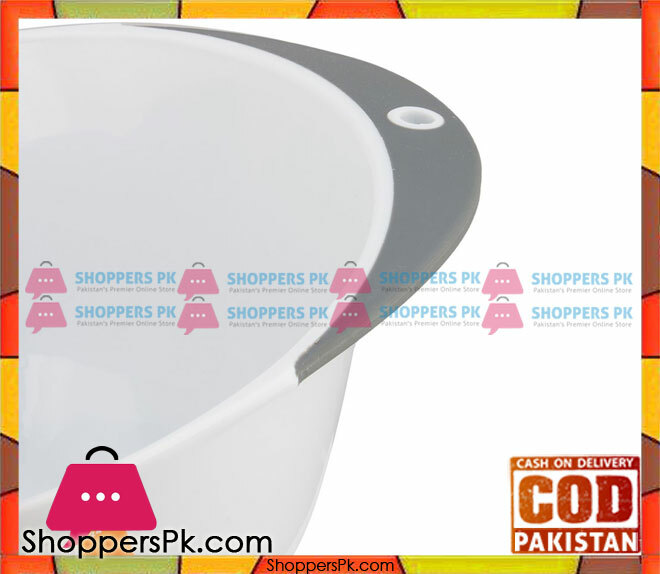 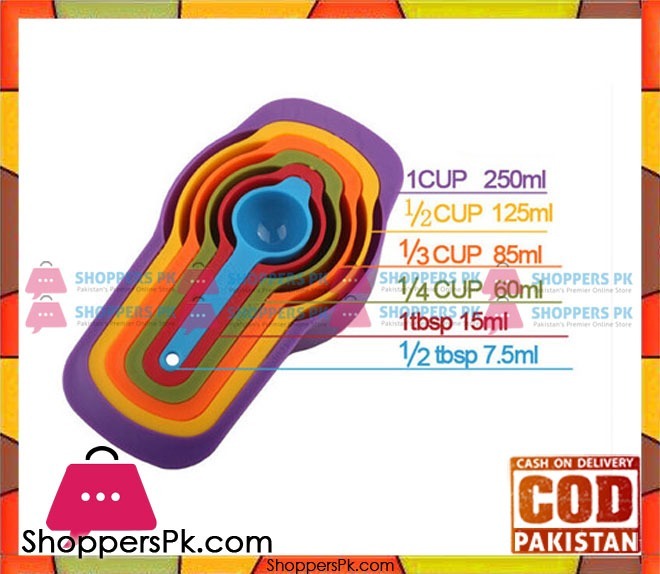 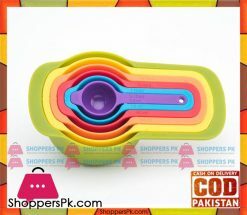 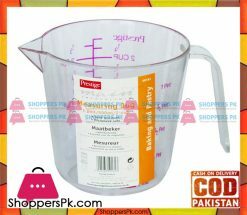 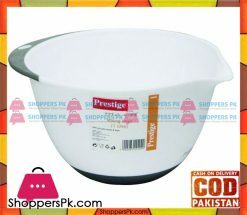 Both mixing bowls have non-slip bases and wider carry handles, while the measuring cups ‘snap’ together more securely. 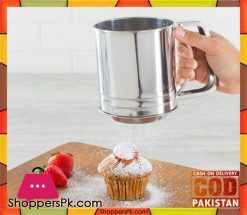 A colander and sieve make this set a complete kitchen multi-tasker! 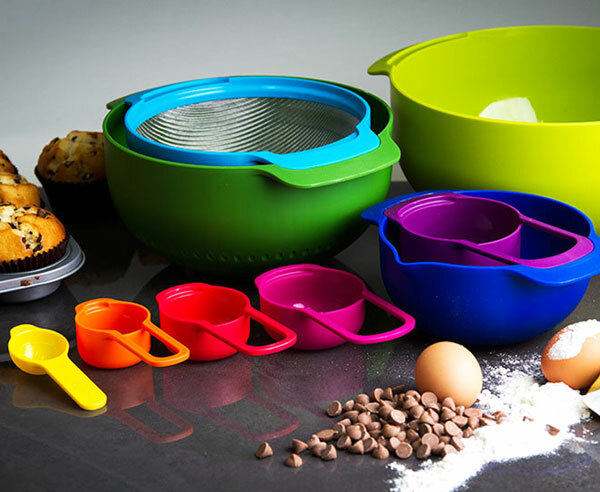 Measure, mix, sieve and drain with a burst of vibrant colour!